A growth-hacker,digital marketer and 2G/3G/LTE Engineer based in UAE. With the rise in e-commerce and the field of IT, we have seen a huge increase in data that is out there for organizations to just pick up. This has resulted in the creation of data mining, which requires data miners to use their technical skills to mine the data in the online world. While the field is still growing, it is part of computer science and considered to be on the business intelligence side of it. It is a major part of computer science as the data collected by data miners allows them to provide predictions for businesses on demand of products, services, along with the human resource talent. So many big businesses have started to employ data miners because they can help enhance their business. The most popular position in the field of data mining is that of an analyst. A data mining analyst is sought by a wide variety of industries. Their main job is to analyze data to help the industry to further enhance their business by identifying data sources, predicting patterns in the industry, synthesizing the data set, and presenting the information in an easy to understand manner to the organization that will help with their decision making. Data mining analyst is fairly popular in education, engineering, and government services. Data engineer is the second most popular position in the data mining field. They work more like the traditional researcher and business analyst. With the collection of data, they can help identify problems for businesses, work out improvement for products and services, and tell organizations what their business requirements are. The final job that is popular in data mining is that of a big data architect. They don’t really work on the collections and analysis of data but rather focus on the strategic plan and design of data. They design the IT system which basically allows for analysts and engineer to easily collect the data they need for their job. Since 2010, data mining has become a relevant field as businesses have realized how it can help transform their businesses and presents them with a chance to rise above their competition. The demand for a data analyst, engineers, and architect has been on a rise ever since as you see industries from IT firms to fashion utilize the help of these individuals to enhance their business. 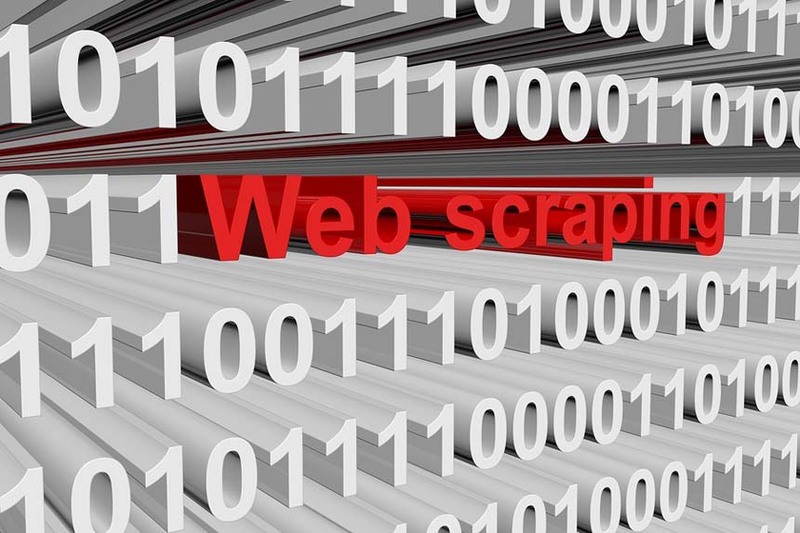 Web scraping allows you to extract data from websites. 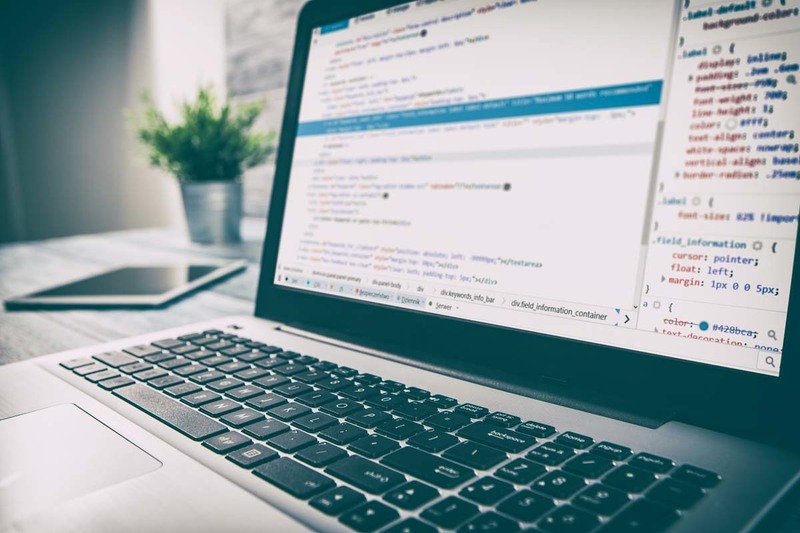 The process is automatic in which the HTML is processed to extract data that can be manipulated and converted to the format of your liking for retrieval and or analysis. The process is commonly used for data mining. It is a tool that has been used for scraping website. But you must note that if you scrape a website too often, you risk the chance of having your IP banned from the website so approach with caution. How to scrape with Selenium? In Python, you need to create a new project. You can create a file and name it setup.py and within it type in selenium as dependency. You can now start making request you pass in the website url you want to scrape. You may need to create a user account with Github to do this but that is an easy process. You are now ready to scrape the data from the website. WebPlotDigitizer is not a program that just anyone can use or even a one that you may need. However, if you work with a graph or are an engineer, it is definitely a program you should consider using. The program isn’t too old but has been out for enough years that it has a bit of following. The program will not be something you use every day, but it is nice to have in your reserve for the times you need it. It does make your work a lot easier. If you work with graphs on a daily basis then this software is definitely one you should download. 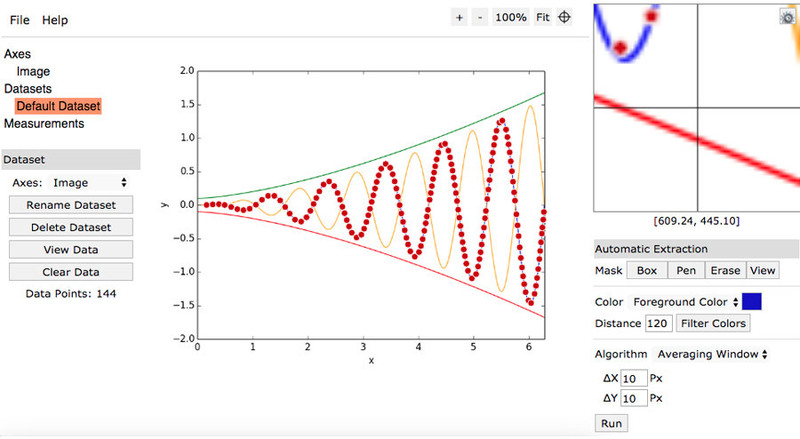 WebPlotDigitizer helps easily digitize image graphs into numerical data. You can work with any type of graph or map from bar to ternary diagram and it will extract the data for you to easily analyze. You should know that the program is not completely automatic, don’t expect to take a picture and all the data will appear. You can import the graph in form of an image, then you need to select specific points on the line and then go over the line so the points can be picked up by the program. Well, you don’t need to be a rocket scientist to use the program. It isn’t difficult to use but you will need to be a bit tech savvy to use the program. It took us a few tries to get the graph to properly digitalize the data but once you get the hang of it, it is fairly easy to use. If you deal with a lot of graphs and want a program that can help you digitize the data with a bit of input from your end. It does make the process a lot easier if you have a graph in image format and need to extract the data. If not, then there is no point of having the software. The term data mining has become so widely used that we are most likely going to find at least one shared article on the topic in our social media news feed. In fact, the extent of its overuse has often led to misunderstandings of what it is or they are explained in a difficult-to-understand manner that, in the end, we might as well be reading gibberish. 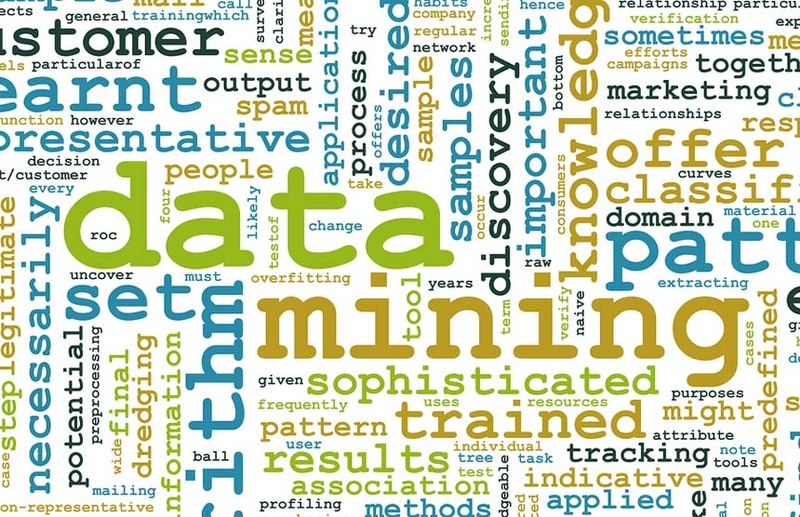 Technically, data mining is the process of finding certain information from a compilation of data and presenting the usable information in the hopes of resolving a specific problem. In a nutshell, data mining is the act of examining large database sets to create new information. There are different services involved in the process, such as text mining, web mining, audio and video mining, visual data mining, and social network data mining. There are many major data mining techniques in development, and recent data mining projects include association, clustering, prediction, sequential patterns and decision tree. This guide will provide a brief examination of each of these techniques. Association is perhaps one of the more popular data mining techniques used today. In association, the user is attempting to discover a pattern based on uncovered links between items of a singular transaction. This is the reason why the association technique is also commonly referred to as relation technique. This technique is widely used in market basket analysis with the aim of identifying a set of products that consumers frequently purchase in one transaction. Retail companies use the association technique to study the psychological decision-making process behind their customer’s purchases. For example, when looking at past sales data, companies might discover that customers who buy chips will also buy beer. Therefore, the company will put beers and chips in the same shopping aisle or in relatively close distances from one another. This could be a way of efficient shopping for customers and ultimately increase sales. Classification is a traditional data mining technique based on machine learning. Essentially, this technique is utilized for classifying each item in a dataset into one single predefined set of groups. The classification technique uses mathematical approaches such as decision trees, linear programming, statistics and neural network. In this technique, the user develops software to learn how to organize items into groups. For instance, classification technique can be applied in the application that “looking at records of employees who have left the company, predict who will leave the company next.” In this case, we separate records of employees into two classes named “remain” and “gone.” Our data mining software then classifies the employees into their groups based on their probability of exiting the company. In data mining, clustering refers to the process of categorizing a particular set of objects by looking at their characteristics and separating them based on their similarities. The clustering technique sets the classes and places each object in their respective class, whereas in the classification technique, objects are assigned into predefined categories. To make things clearer, let’s look at the example of a library’s book management system. In a library, there is a large selection of books on a number of topics. The posing challenge is how to organize the books in a way so visitors can pick up several books on a certain topic without having to walk around the whole library. With the clustering technique, one cluster – or in this case, shelf – contains all books that are about a particular topic, and the cluster is given a meaningful, understandable name. If readers need to take a book on that topic, they just have to head to the aisle where those books are located instead of searching the entire building. As the name suggest, the prediction technique aims to discover the link between independent variables and define the relationship between independent and dependent variables. For example, this technique is can be used to predict future profits if sales are set as the independent variable and profits as the dependent variable. Using past sale and profit data, the user can draw a regression curve for predicting profits. Sequential patterns analysis aims to uncover or identify common patterns, regular events or trends in transactions data over a certain period. In sales, using past transactions data, a business can find a set of items that their customers purchase in one visit during certain months or seasons. Businesses use this information to offer better deals or discounts based on historical purchasing frequency. Beginning at the root node, if the outlook is overcast then I will play basketball outdoors. If it’s raining, I’ll only play basketball outdoors only if it’s not windy. And if the sun is out and shining, I will only play basketball outdoors if it’s not too humid. 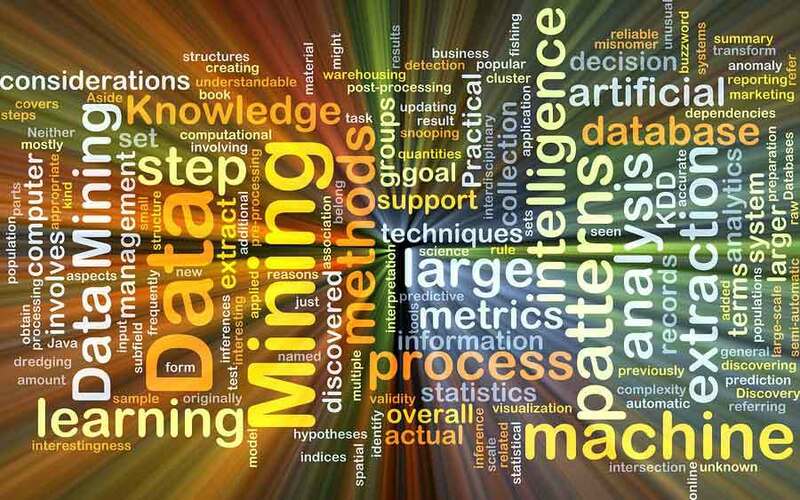 These are the six basic techniques used in data mining. Though some of them may appear to be similar in practice, they all have different aims in terms of data collection. We are free to two or more data mining technique simultaneously to form a process that meets what a business’ needs. Web scraping – also referred to as either web harvesting or web data extraction – is the action of extracting large quantities of data from various websites and saved as a file in your computer or to a database in a spreadsheet or other table format. When we browse the web, most websites can only be viewed by using an internet browsing application (Internet Explorer, Firefox, Chrome, etc.) and do not offer an option to save a copy of the website’s data for private purposes. In this case, the only thing left to do is to manually copy and paste the data. As you may already know, going about this task manually is labor-intensive and can take you many hours or days to complete, depending on how much data you need to compile. After compiling this information, we’ll save it into a .json file on your computers. The request function requires two parameters (URL and a callback). For the URL, we set the link of the IMDB movie. In the callback, we’ll take three parameters (error, response and html). First, we’ll need the movie title. Open the IMDB website for the movie, open Developer Tools and check the movie title element. We’re looking for a unique element which will assist in locating the title of the movie (header). Search for <hl class=”header”>. Next we’ll need the release year of the movie. We’ll need to repeat the process, this time finding a unique element in the DOM for release year (<h1> tag). Finally, we repeat the process for community rating. The unique class name is .star-box-giga-star. With the node, we are ready to scrape and store the extracted information. To start up the node server, open http://localhost:8081/scrape and see what happens.